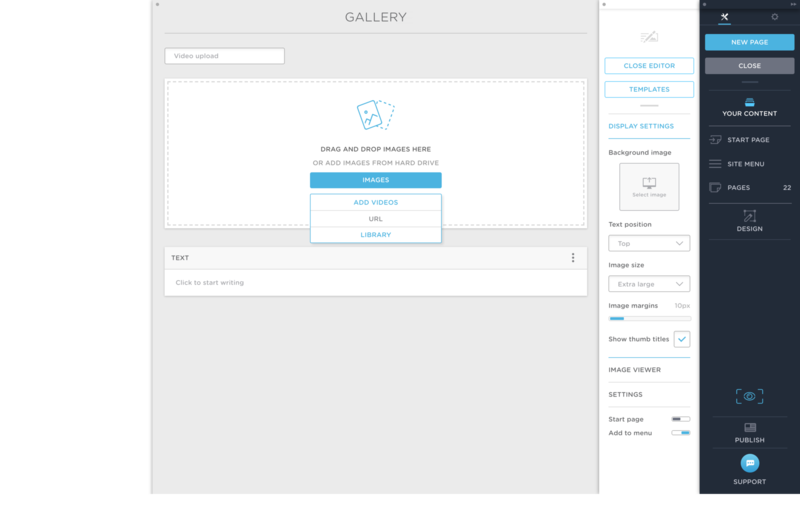 You can now upload videos directly from your computer to your Portfoliobox website. 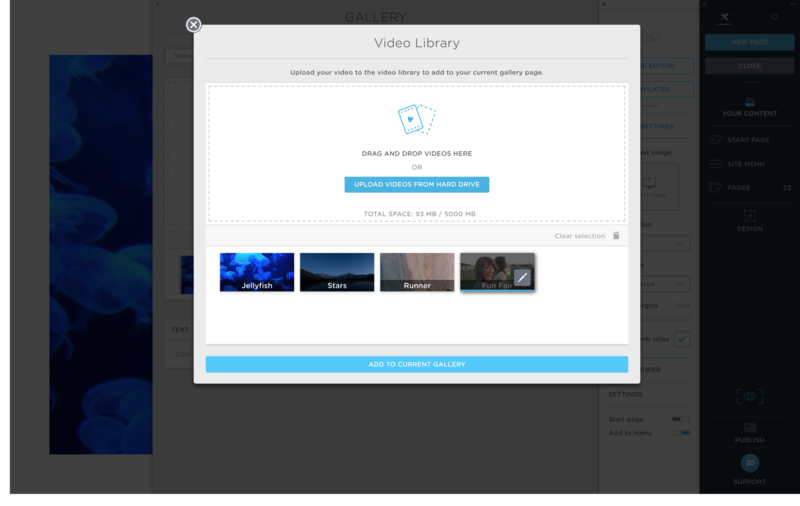 Select the gallery page you wish to upload videos to and click on ADD VIDEOS and on LIBRARY to start uploading videos your video library. Click on UPLOAD VIDEOS FROM HARD DRIVE to select files. Once you have uploaded videos from your hard drive, they will display in your video library. 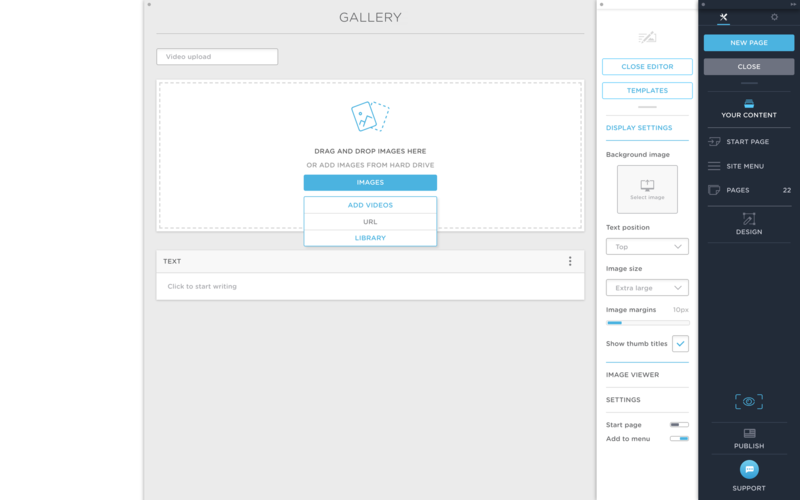 Select the ones you want to add to your gallery and click on ADD TO CURRENT GALLERY. 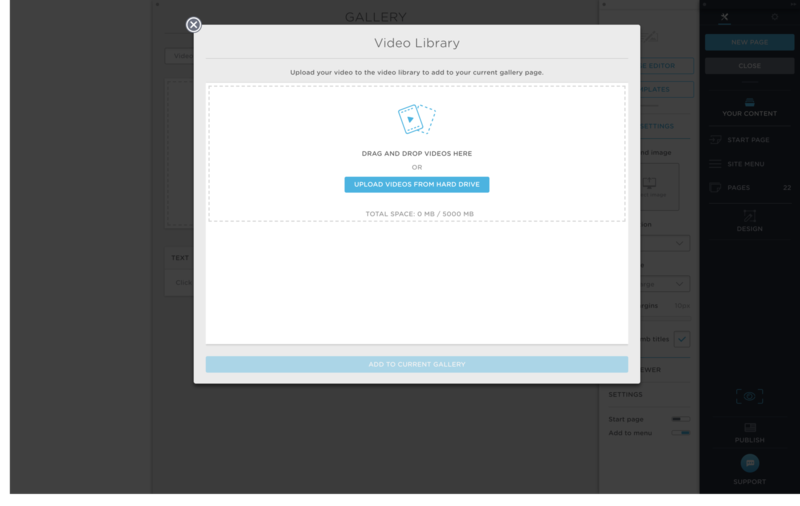 A single video file from the video library can be used in multiple galleries. • Video thumbnail: You can change the thumb image of a video file, in your video library. 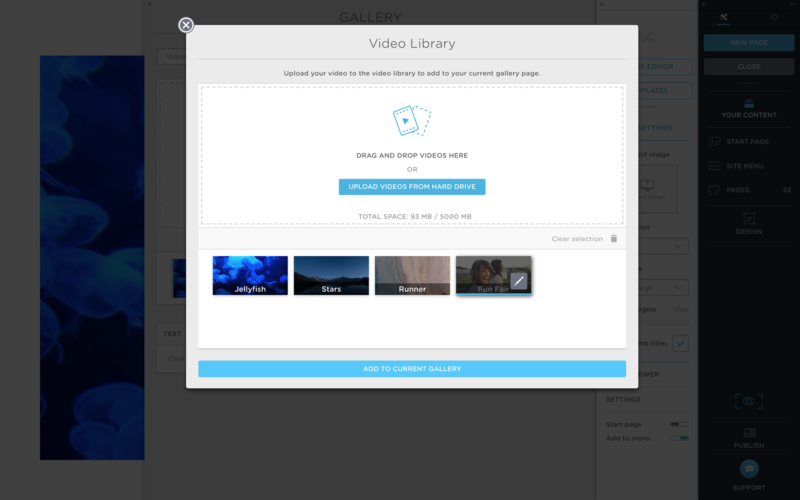 Select the video you want to edit and click on the pencil to upload a new thumbnail.